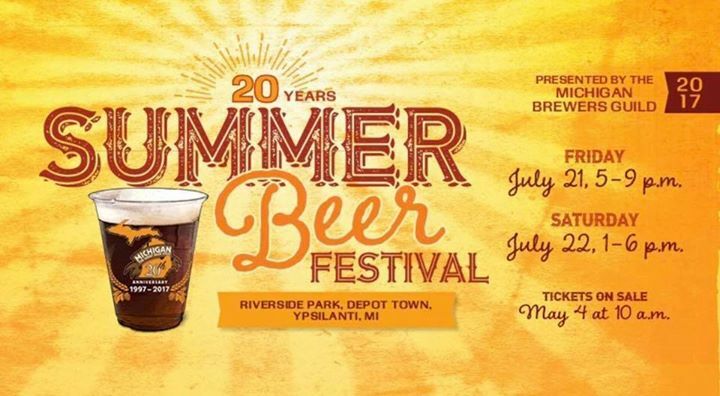 Our biggest list to date – in honor of our 20th Annual Michigan Brewers Guild Summer Beer Festival, coming up Friday, July 21 and Saturday, July 22. Join us and 147 of our member breweries who will be serving up more than 1140 beers over the course of two days! At this time, tickets are still available online (although tickets may not necessarily available at the gate…if they sell out in advance). List subject to change. Download the official festival app at BeerFestList.